If Donald Trump had not won the presidential election this year, 2016 might have gone down in political history as the Year of the Fix. The Democrats began the election year by rigging their primaries for Hillary Clinton, and are ending it by accusing the Trump campaign of the very collusion and election tampering they have been guilty of all along. 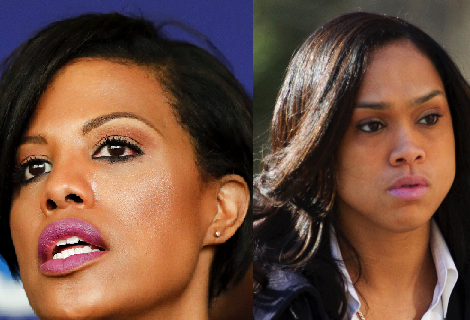 10) Stephanie Rawlings-Blake and Marilyn Mosby – Two black women have not deserved to be more roundly booed since the Supremes performed without Diana Ross. For their incompetence, lies and duplicity in Baltimore’s Freddie Gray scandal and the riots they all but incited, Mayor Rawlings-Blake and States Attorney Mosby are both a disgrace to government service. 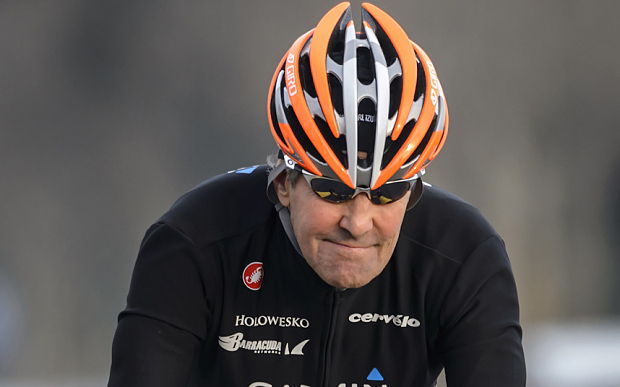 9) John Kerry – For “Israel can either be Jewish or democratic…” He turned his back on his brothers in arms in Vietnam, was for the war in Iraq before he was against it, and docked his his wife’s yacht in another state to avoid taxes.. Why are we not surprised that this piece of human flotsam would turn his back on the one true friend we have in the Middle East? 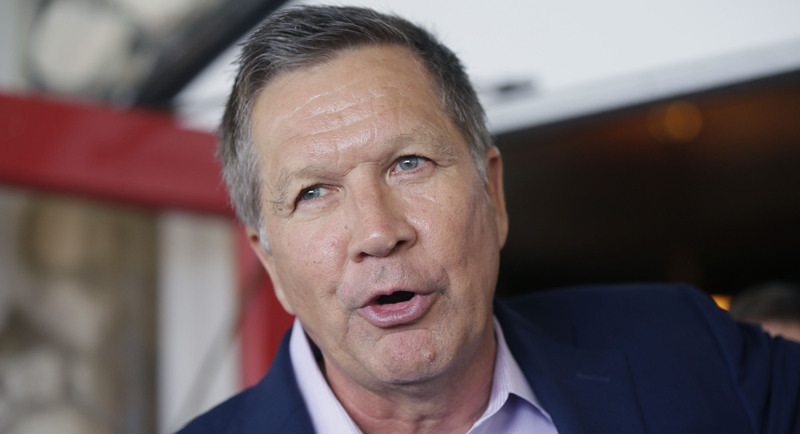 8) John Kasich – Everyman. 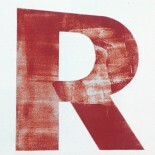 Or just plain whatshisname on the end. Kasich ran like he was interviewing for a pilot’s job at American Airlines. Then the Ohio governor stubbornly refused to keep his pledge to support the party nominee. The Governor was right when he said he should have run as a Democrat; no one could’ve mistaken him for a conservative. 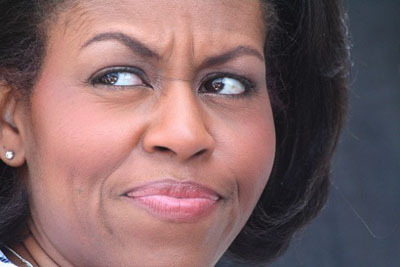 7) Michelle Obama – For ‘I Wake Up In A House Built By Slaves’… Yes, and she is waited on by servants who treat her like Scarlet O’Hara, protected by people sworn to sacrifice their lives, and flies in a $250,000 per hr. government jet to go shopping in Spain. Like, so good riddance to you, you insufferable opportunist. 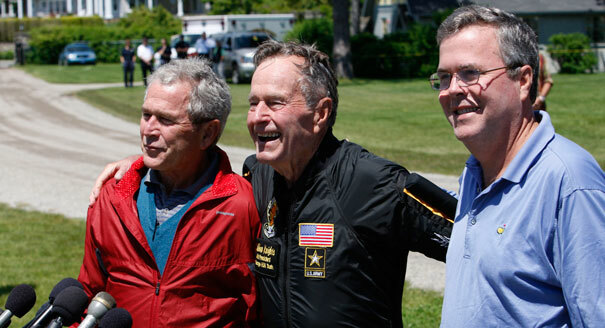 6) The Bush Family For giving off the impression that Jeb! was entitled to the GOP nomination. And frankly, we are still suspicious that they may have been behind savant nephew Billy’s disgraceful setup of Donald Trump. While we make no attempt to justify Trump’s behavior, the release of this tape after eleven years, looks way too much like dirty Washington to have been Billy’s idea alone. 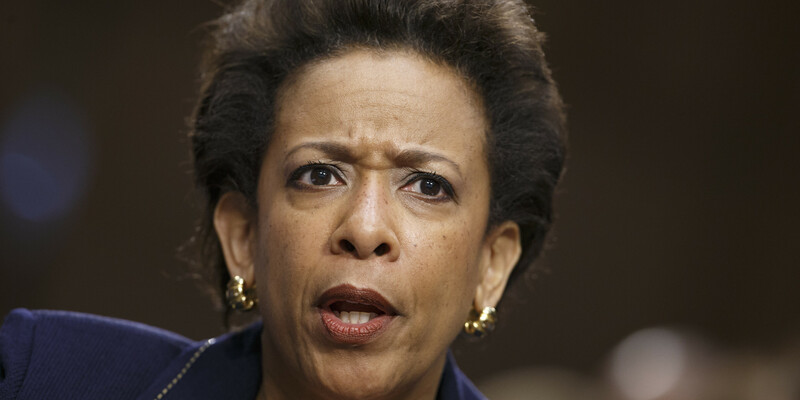 5) Loretta Lynch – For her prearranged “impromptu” meeting on the tarmac with Bill Clinton while Hillary was still under investigation by Lynch’s DoJ. We don’t even need to speculate. Fox’s Greg Gutfeld said it best: “If you see Charlie Sheen accepting a package in a parking lot? You know it’s not flowers…” Oh, and any other House Speaker would have initiated impeachment proceedings against Lynch, but sadly we are stuck with this one. 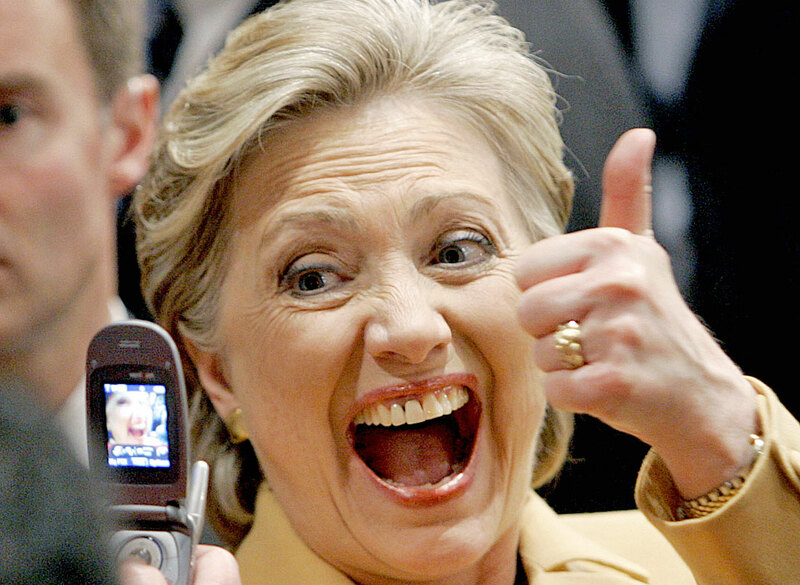 4) Hillary Clinton – For “Basket of Deplorables.” On the very long list of stupid statements Hillary has made over the course of her lifetime, this one takes the blue ribbon. Donald Trump couldn’t have bought a better slogan if he’d sold a skyscraper and spent every dime on it. 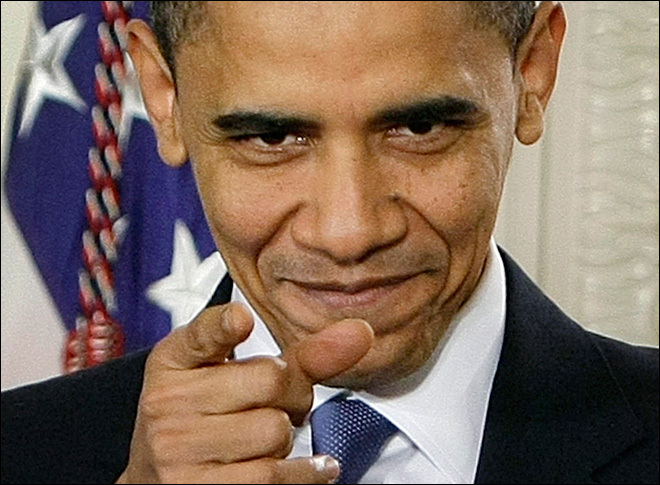 3) Barack H. Obama – For “I could’ve won again…” Dude, hold my beer, I’ve got this! Really? And we can think of no better reason for the Twenty-Second Amendment. What a tiny, pathetic little man. 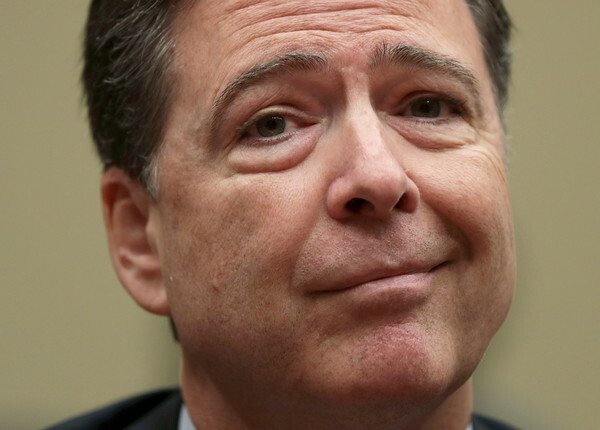 2) FBI Director James Comey – #Emailgate Contortionist. Briohny Smyth couldn’t get her body into the positions Comey employed to set Hillary Clinton free. Enough. Okay, we had to put some real thought into our top award this year. There are so many Democrats who could occupy the Number 1 slot of most destructive, or stupid, or corrupt left wing loony in a very large menagerie. However, we finally concluded that no one particular person could claim the top position for singlehandedly destroying the once venerable Party of Jackson. So it was with that realization that we settled on our selection as this year’s winner. 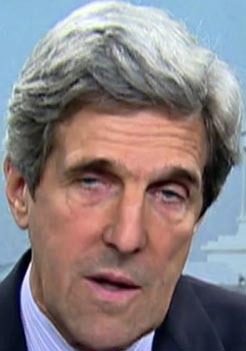 1) The Democratic Party – For just plain dumb. Every time a bell rings another Democrat realizes that corporations do create jobs. The party that once claimed traditional American liberals like Adlai Stevenson , Scoop Jackson and Daniel Patrick Moynihan has become nothing more than a shill for anti-American socialists. Today, the Democrat star gallery is filled with frauds like Elizabeth “Fauxcahontas” Warren, deadbeats like Bernie Sanders, and outright organized crime capos like Hillary Clinton. And the Democratic Party could not be more off the pulse of the American electorate because of them. So it was that the American voter decided to roll the dice for Jobs, border security and real immigration reform. See you next year, everyone! This entry was posted on December 31, 2016 by Regular Right Guy in Corruption, Democrats and tagged 2016 Lefty Awards.